I admit, for the longest time, I didn't know who or what Anastasia was. The first time I came across it was in a forum, I believe, and I recall thinking that she was a person who owned the best brow-shaping salon, well, ever. 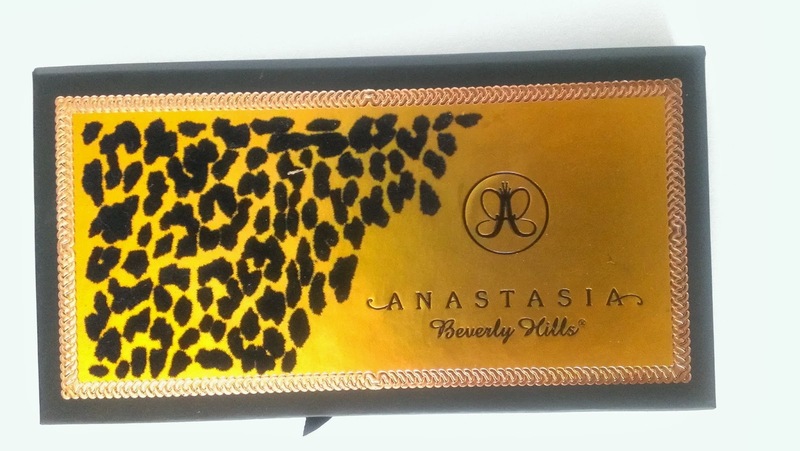 Being slightly more knowledgeable I now know that Anastasia Soare, the woman behind the name, is the founder of Anastasia Beverly Hills, a cosmetics company that specializes in eyebrows. They also sell makeup tools, cosmetics that range from eye shadows to tinted moisturizer, as well as skin care (although this is limited to a brow serum). I have never tried any of Anastasia's brow products - I guess I'm just too lazy to bother about my brows, for the most part they don't give me much trouble. But since I'm pretty much an eye shadow junkie this palette caught my eye and I decided to give it a whirl. 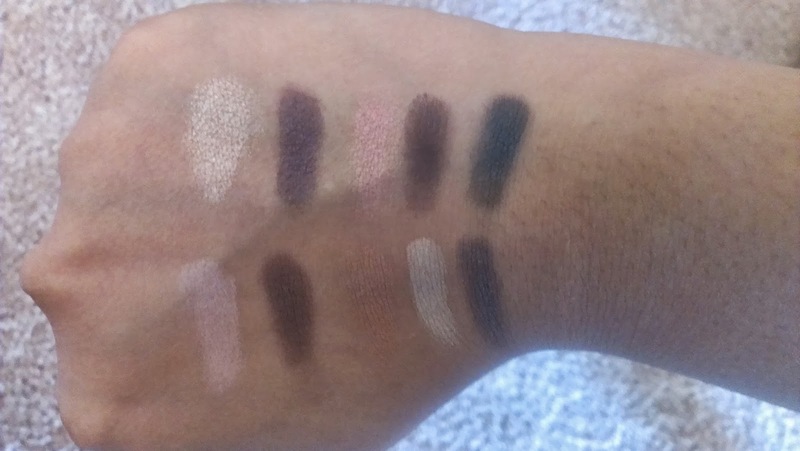 The Catwalk Palette has ten shades. Some are matte while others are shimmery. There is a selection of neutrals and plums/purples, making this a fall-themed palette, at least in my book. Included with the palette is a look book that explains how to achieve various looks. Each look is named after a famous supermodel! Also included with the palette is a double-ended brush. One side is flat and meant to pack on color while the other side is fluffy and meant for blending. I like this brush, it's easy to use and the bristles are soft and not scratchy at all. One side of the palette has a small mirror while the other side holds the shadows and brush. The palette itself is made of cardboard, but feels fairly sturdy. I'm not sure how it will fare if dropped, but I don't expect it to do very well if it is! Of the ten shades, Beauty Mark and Day Rate are mattes. LBD is semi-matte. The rest are all shimmers. 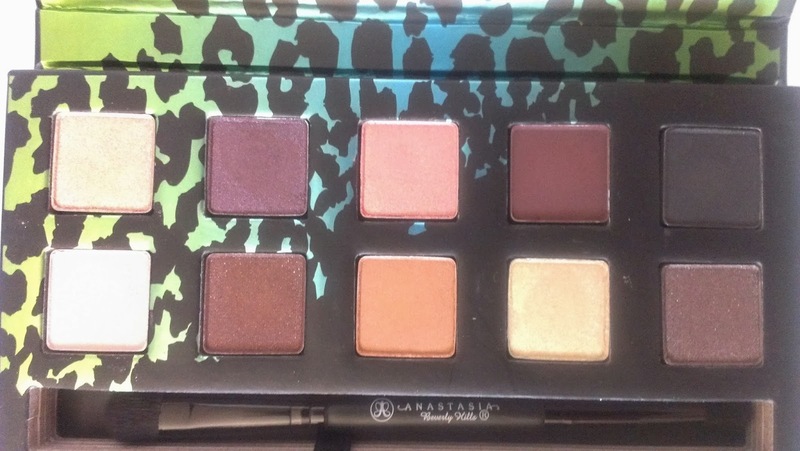 One thing I totally dislike about this palette was that the names are not printed in the palette itself! As a matter of fact they were only printed on the bottom part of the packaging, and I had to cut it out from there and stick it on the bottom of the palette so I could have a reference to the shade names. Frustrating! 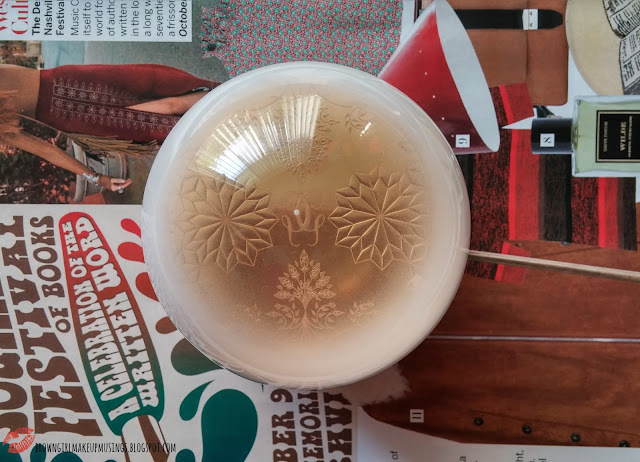 Call back is a champagne-beigey shimmer. Excellent for inner-corner-of-the-eye highlighting! Strut is a very pretty purple color. There's no plum undertone in it. Scout is a gorgeous rose gold. This is as rose gold as you can get! Beauty Mark is a matte dark brown with plum tones. This applied patchy, and had to be built up. LBD is a semi-matte black but isn't very pigmented. It appears more dark gray than black. Day Rate is a light pinky-mauve shade. This also applied patchy. Couture is a dark chocolate brown color with shimmer. RTW is a peachy-brown that's very similar to my skin color. 10K is a pale gold color. Makes a great browbone highlight. Pose is the standout color for me. It's a gray-purple-taupey color, very unique, very pretty. 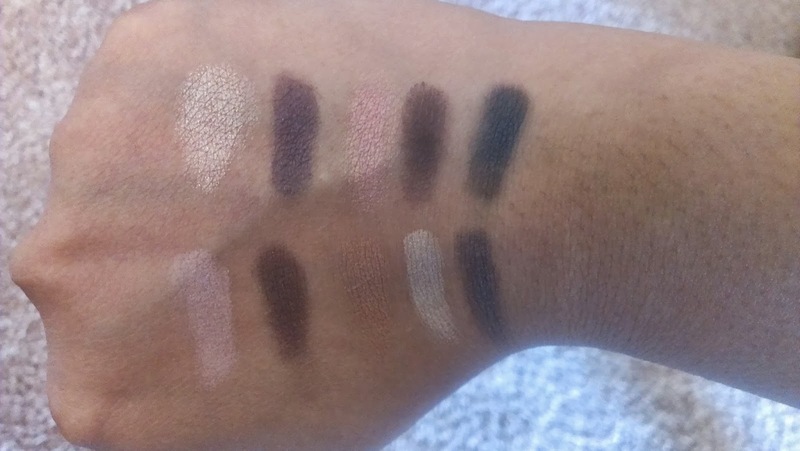 What do I think about this palette? It's a decent enough palette. Some of the shades are downright gorgeous, others are hard to work with. The one thing I would recommend this palette for are the purple shades. If you're a fan of purple/plum, this is something worth looking into! I've particularly been enjoying wearing Strut, Beauty Mark and Couture in my crease - it makes a great alternative to my usual browns and has the added advantage of subtly emphasizing my dark brown-black eyes! Still, it has it's pitfalls too. Some of the shades don't apply well, and they have to be built up. If I were to compare these eyeshadows to, say, Urban Decay or Lorac, I don't think they measure up. They're not as soft, as buttery and creamy as UD and Lorac, and they do require a little bit of effort to blend them. I have to add that Scout is one of the prettiest rose-golds I own! I agree these aren't anywhere near the quality of LORAC, UD, KVD, Stila, Smashbox & others. I find these very difficult to work with no matter which primer or brushes I use. The 10K is almost dull. Tthe fallout is definitely a drawback as is the patchy application. I'm very surprised at the not so greatness of this palette with all the rave reviews on blogs & YouTube. This palette feels like it's already expired & I just received it. I haven't tried any of her other products so I don't know if her products are normally this low quality. I doubt I'll try any others to find out. The Lavish palette she has is much better than this! The eyeshadows in that one are definitely better quality. Still, with all the other better choices out there, I doubt this brand will ever be my first or go-to choice. Stila Cosmetics Holiday 2013 offerings! More Tarte Holiday 2013 sets! Of things yet to come!